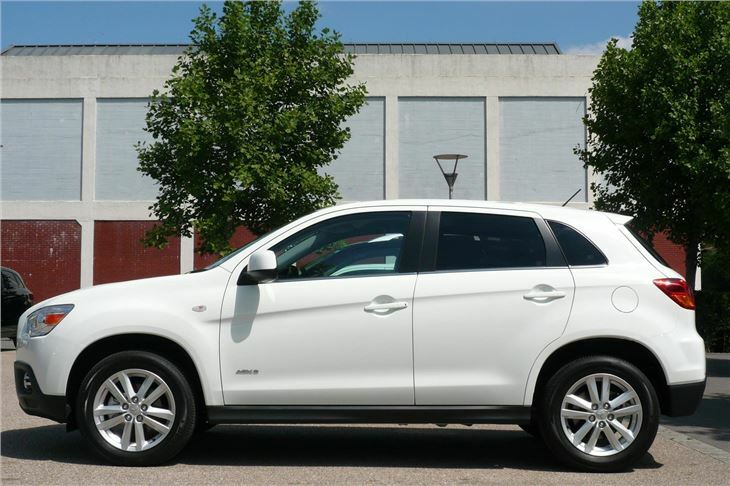 The Mitsubishi ASX is the car that should do for Mitsubishi what the Qashqai did for Nissan. 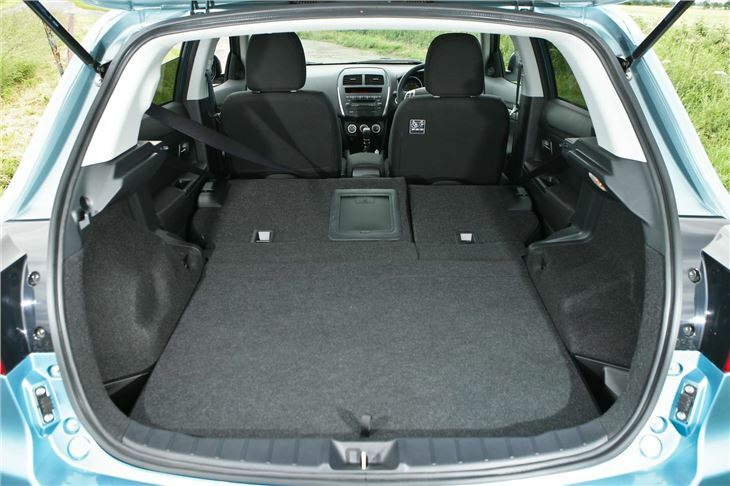 The Qashqai was already facing stiff competition from the Hyundai ix35 and the new KIA Shortage (both of which we have driven). But the ASX deals with the elephant in the room rather better than any of these cars. Of course, most of us would prefer a chunky SUV to a standard hatchback. We need one these days just to cope with the state of our roads, infested with speed cushions and booby trapped with potholes. We just can’t afford to run them. So what did clever Mitsubishi do about that, then? It created the first diesel engine in the world with variable valve timing. 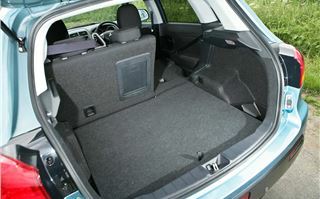 This allows the engine to run at much lower revs than a diesel usually can, with massive benefits in economy. And on top of that, Mitsubishi applied more “Intelligent Mobility”, in the form of auto stop-go, so while you’re idling your time away at the traffic lights your engine isn’t idling your fuel away. And they adopted some of the other tricks, such as a regenerative alternator that recharges the battery on engine overrun rather than steals power on acceleration. 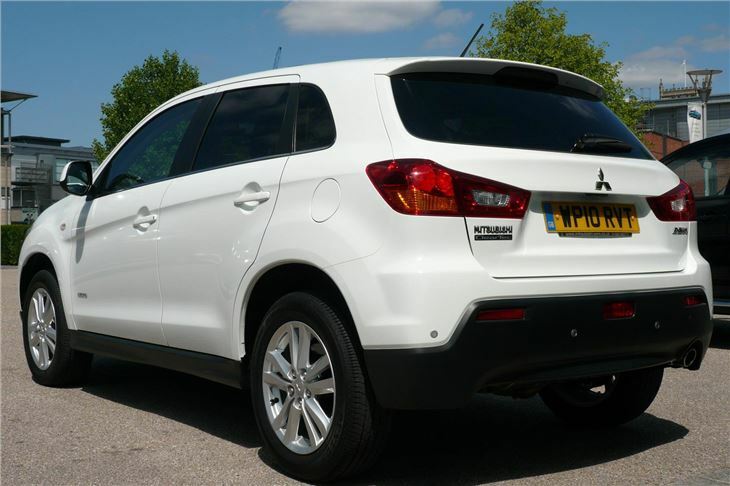 The result, for the ASX 1.8 diesel, is an official combined economy of 51.4mpg. And, when we put this to the test on a mixed run from Bristol to Cheddar Gorge and back, combining every type of road from city centre to hilly, narrow lanes, we averaged 55.1mpg over 42 miles. Since I don’t normally better an official figure on a test drive (I didn’t even when really trying to with the Polo 1.2TSI) I reckon that’s a fair result, easily achievable by anyone. So what’s it actually like to drive? 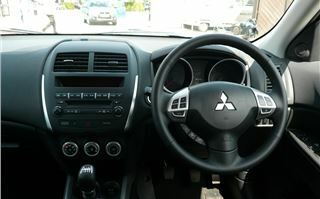 It’s easy to get comfortable with Mitsubishi’s first multi-adjustable steering wheel as well as height adjustable driver’s seat. It’s a sweet engine to drive because it pulls from very low revs. The six gears slot well and ‘block change’ neatly, 4th to 6th for example. Gun it past 2,000rpm and the 300Nm torque comes in strongly, so the grunt’s there if you need it in an emergency. Obviously it’s not a sports car and you can feel the gravitational forces if you try to treat it like one. 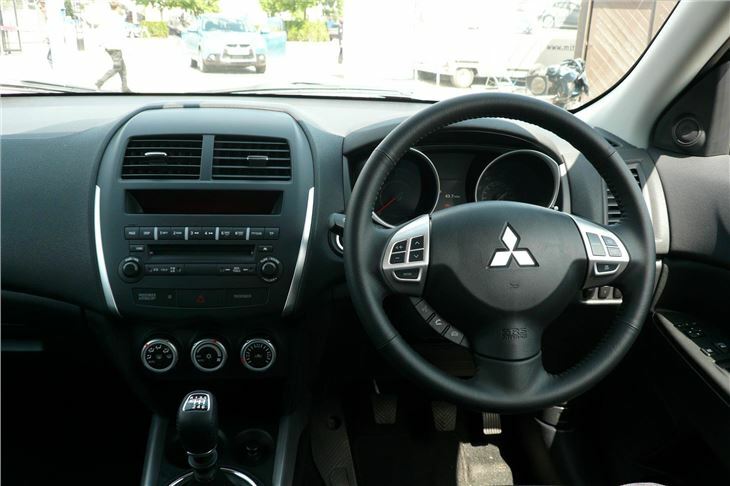 But decent, honest steering and a reluctance to let go at the front will keep you out of trouble at the sort of speeds most drivers are comfortable with. Later, we’ll see a 1.6 petrol version at prices from a low £14,995 that still creeps in at an extraordinarily low 138g/km CO2 and offers 47.1mpg combined. 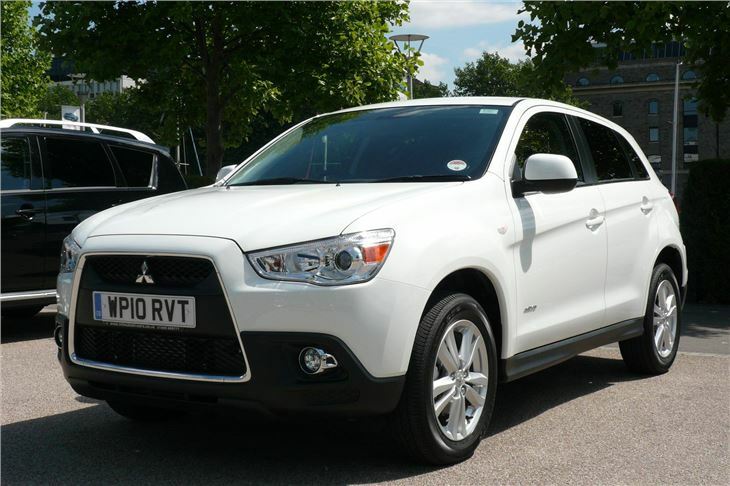 In the same trim as the car we drove, the 1.6 petrol lists at £16,799, and Mitsubishi wisely predicts that this will be the best seller. 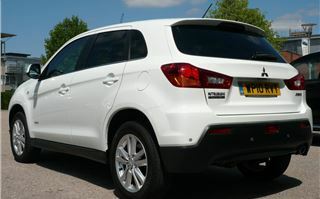 The car we drove lists at £18,549, so that’s quite a jump just to get the diesel. And four-wheel drive adds a further £1,500 to the price, which might be necessary for country folk, but definitely isn’t for townies. 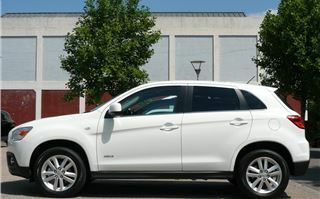 Mitsubishi reckons that only 15% of ASX buyers will go for 4WD. 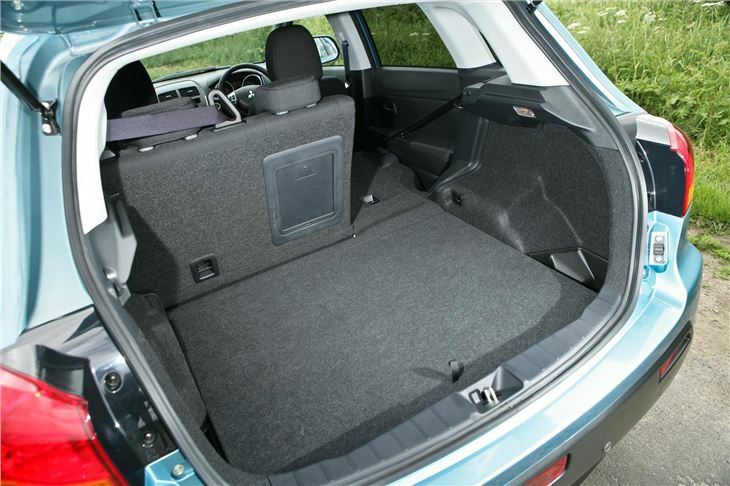 So the only major criticism of the car is that all buyers sacrifice luggage space to make room in the floorpan for a rear diff that will only be bought by 15%. Not a big worry, then. The fact that it out economises any other significant competitor (except, perhaps, the Toyota Urban Cruiser) does it for me.